Do yourself a favor and like the Potenza Team Facebook page. James is a "down home" person. What I appreciated about him the most was his authenticity and just all around sincerity. 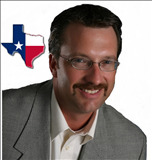 He is not the stereotypical commercial realtor. He wants to work for you and it shows. I would highly recommend him for his character and sales ethic. Bought and sold a Single Family home in 2016 in Pearland, TX. Thank you, James!!! When we made the decision to purchase our first home, we had contacted several realtors, and James was the only one who made an effort to personally respond to our inquiries. We found James to be professional, sincere, and highly knowledgeable about the home buying process from the initial negotiation, throughout the building process, and the final closing. He made our first home buying experience seemingly easy and worry-free each step of the way. Without his expertise, the whole process of owning a home would have overwhelmed us. If anyone is looking for a realtor who genuinely cares for the best interest of his client, James Potenza is your best choice. We will definitely use James for any additional future home purchases. Bought a Single Family home in 2014 for approximately $300K in Pearland, TX. James made our whole experience wonderful from beginning to end. He was so knowledgeable and patient. He took the time to point things out in each house and explain why it was good or bad, and if it was something that may need repair in the future, based on his many years of experience. As first time homebuyers, we were very nervous and overwhelmed. James helped us get over those feelings, so that we were able to experience the fun and excitement of the whole process. We will absolutely be working with James again, if we ever decide to buy another home. After a quick relocation decision from New Hampshire to Texas, my husband and I needed to find a home, and we needed to find one fast! We originally sought after James because of the great reviews we found online. We were pleased by the efficiency and timeliness of the home search. James listened to our needs and showed us exactly what we were looking for in the area in which we desired to be. Because of the efficiency of the transaction, we were even granted the ability to close early. James was a great resource for the lender, title company, insurance and inspection. Everyone we worked with was helpful and able to easily understand our needs. James was both the seller and buyer’s realtor and handled that responsibly exceptionally well. Not only was he efficient, James takes his job and clients very seriously. Because we were living in between Texas and NH, James took every effort to be available when we needed him to be, and even took the time to check up on our newly purchased home when he knew we would not be in the area for a couple weeks. Thank you James for all your hard work and effort! We love our Texas home! Poul and Danielle Ireland New Hampshire to Pearland, Texas! We worked with James for two home purchases now and he has exceeded our expectations both times! Always available to answer questions and he knows his stuff! He climbed into the attics of all the homes we viewed to help us get the most complete picture possible before making an offer. I highly recommend him to anyone looking to buy a home!! James helped us through our first home buying process, which involved an inventory build. He was there through the whole process and knew what to look for in quality construction. He was also extremely helpful dealing with the many issues that arose through this process and we felt very confident in his advise and aid. Gary and I would like to thank you for all your assistance in finding the right home in the right community for our family. Without a doubt you were the right agent to help us get everything we wanted in our home and community. Your familiarity of the area as well as your valuable knowledge of what to look for in a well built home was very important in our home selection. Your daily email updates provided us with a large selection of homes to choose from based on the criteria that we selected. On our trip to Houston to go through our selected possible homes with you, you were able to spot things that either were no longer up to "code", or that may be a future problems that further guided us. Once we found the "one" you were there to negotiate on our behalf to ensure we got a fair and marketable price. We also appreciated your professionalism and prompt response to all of our emails or phone calls throughout the process. Stress can run high during a relocation and home buying but having you on our side gave us the confidence right through closing. We will highly recommend others to you with their home buying needs. Thank you again! Our family was facing a significant life change as a result of a new job and eventual relocation from Michigan to Texas. For the past three months one of us was working and living in Texas commuting home to Michigan on alternate weekends. Soon after starting the new job in Texas we found James Potenza on the internet. Within 5 minutes of submitting our information, James contacted us. We had a great initial conversation with him and it was immediately obvious that he was friendly, helpful, very knowledgeable about the area and receptive to our interests and concerns, taking our priorities into account. After shopping around for other agents for a few days, it was clear that James was head and shoulders above the rest and we chose him to represent us during this important, exciting and at times, stressful period in our lives. What a great decision that was! James sent us a great deal of info on the area, and on current listings that fit our description of our needs and what we were looking for in our next home and community (including good schools which was very important to us). Based on this internet/e-mail/phone dialog we selected a 3-4 cities and communities to consider in our search. James was very accommodating and bent over backwards to work with our schedule and constraints. He spent a Saturday with me on the weekend following my first week on the job to drive around the areas we were considering, viewing homes and getting a feel of the communities and potential commute times and conditions I could expect to get to work. This was a very productive and effective exercise, as we were able to narrow our search down to one area...Sienna Plantation in Missouri City. We would get daily updates of any new listings and properties that would come up. Even when we could not be around, James was working to check out/visit properties and would send us his appraisal and opinion of what he saw relative to our interests and needs. We did our multiple-day house hunting trip in late March, 2011. We needed to bring our family on this trip and James was great with the kids. He was patient with our three little boys and even gave them a little treat at the end of a long first day touring houses. That made quite an impression on all of us. James is very knowledgeable, informed and was clearly looking out for our best interests during the whole process. For example, James would spend time looking at things in the house we would not have thought to look at or look for (e.g. air conditioning unit quality, vents, ducts, climbing into the attic, hot water heater, insulation, water barriers etc.) and the general quality of how things were put together and kept. This informed eye was extremely beneficial to our making a good choice on our new home. When time came to make an offer on a home, James negotiation skills helped us get a great deal on a beautiful new home. He also lined up an inspector, and was present during the inspector on our behalf since we could not be there. He also followed up with the inspector and the builder, to ensure that issues were addressed to our satisfaction. And now, we are about to move into our new home! We loved working with James and would highly recommend him to anyone. He is always accessible and very responsive, and being a buyer’s agent, has the best interest of the buyer in mind as he works. James is helpful and proactive; he did everything he could to reduce work and stress for us during the whole process. And recently he sent us an 8x10 picture of our new house with card and a Texas flag to congratulate and welcome us to our new home.